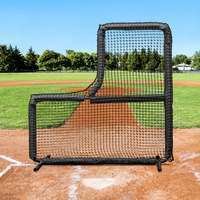 Top quality baseball batting cage nets. Robust HDPP knotted twine with overlocked edges & 6ft tie cords built in. 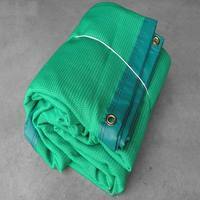 UV stabilized and 100% rot proof for use indoors or outdoors. 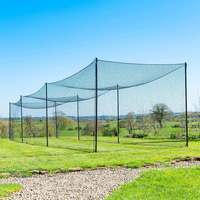 Select your net height, width & twine grade. 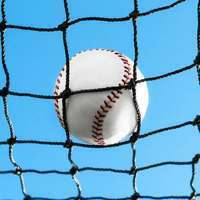 All of our #36, #42 and #62 weight baseball nets are made from super-strength high-density knotted twine, built to last for years to come. 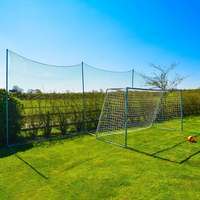 We’re confident you won’t need it, but we guarantee the high-quality materials and superb workmanship of our baseball nets for 5 years*! 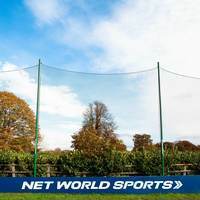 Thanks to UV treatment, our baseball batting cage nets can withstand direct sunlight of any intensity and will never rot so you can play ball all year-round! 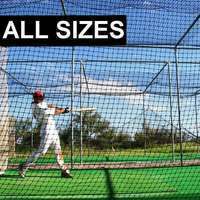 Professional quality at fantastically affordable prices, these high quality baseball batting cage nets are more than a match for your high intensity hitting training, both indoors and outdoors. 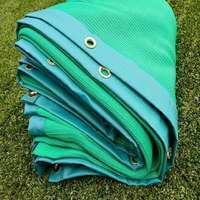 The close attention to detail paid during the designing and manufacturing processes mean that the UV stabilized, knotted twine construction of our baseball batting cage netting will last for years to come. 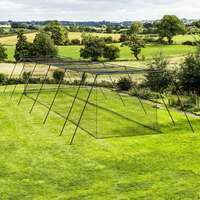 All Fortress baseball batting cage nets are constructed from highly durable knotted twine, UV stabilized to withstand direct sunlight of any intensity and 100% rot proof. 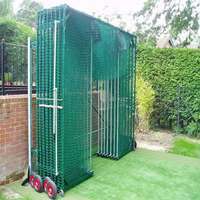 This means that when you invest in a high-quality Fortress baseball cage net, you can enjoy baseball training whatever the weather whilst your equipment remains in pristine condition. 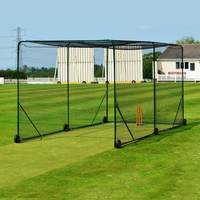 Our baseball nets feature overlocked edges to further increase their durability. 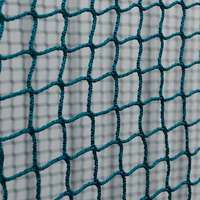 This not only keeps the shape of your nets but protects against fraying and stretching for years to come. 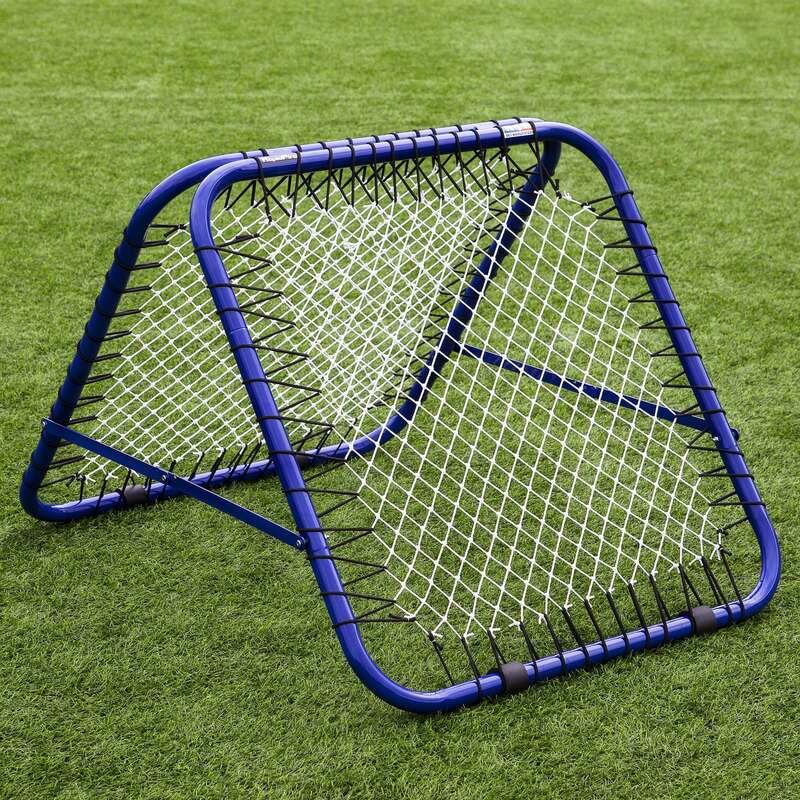 With 6ft tie cords built-in, you can easily attach our batting cages nets to your baseball cage, poles or wires in a matter of minutes, so you can play ball straight away and start multiplying your batting average! 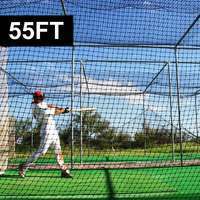 does the batting cage come with poles to support it up.